The Law Office of Anthony T. Ballato is centrally located on Long Island, in Massapequa, New York within the Town of Oyster Bay, in Nassau County. 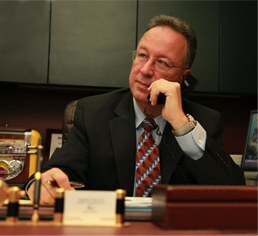 Mr. Ballato provides a broad range of legal services to individuals and business clients throughout the New York metropolitan area representing and advising clients in the areas of civil litigation, family law, lemon law and consumer rights, elder law, fraud cases, personal injury, realty, contracts, Wills, Trusts and Estates. Out of state clients or legal cases from outside of Long Island are also welcome and accommodated. Mr. Ballato maintains strong community ties, and demonstrates the strictest personal and professional ethics. Mr. Ballato is known as the “advocate for the underdog” and always has the utmost concern for his clients with a goal toward prompt resolution. His law office practices cost-effective methods to provide services in an ethical, timely, client-oriented and professional manner. Mr. Ballato and the office staff are committed to responding promptly to telephone calls, regularly reporting on cases and informing clients of significant changes in the law. Mr. Ballato’s understanding of the law and ethical representation of his clients are the foundation for long-standing relationships with his clients and the community. Mr. Ballato’s legal services include pro bono and charitable causes, municipal law and private clients. For a confidential consultation about your legal question or case, please call the New York and Long Island law office of lawyer Anthony T. Ballato at (516) 541-9080. Please note that you must contact the attorney’s office by telephone or in person (by office appointment) and sign a written retainer before an attorney-client relationship may be created. You’ve come to the right place in your search for a divorce lawyer in New York or Long Island. Anthony T. Ballato has experience in family legal cases as well as divorce and marital separation situations and pre-nuptial and post-nuptial agreements. His sensitive and objective approach focuses on prompt legal resolutions. Understanding your rights and discovering legal avenues for rectifying employment related legal issues can be complicated and confusing. For a consultation about your employment law concern, please contact the law office of Anthony T. Ballato. The New York and the Long Island areas are home to our law firm’s experienced practice. When considering a trial attorney, it is very critical to carefully look at their experience and among other things, their ethics and results. In addition to a general practice, Mr. Ballato’s office on Long Island can work with you as a personal injury attorney for accidents of any type including car, construction site, dog bites, or work related incidents. Every case is given individual and careful consideration however to discuss your case, please call the law office at (516) 541-9080.